Day 22 brings us a bar of soap. 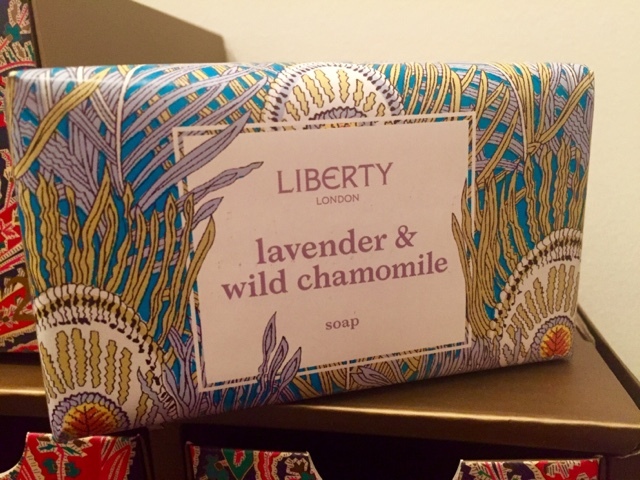 OK, so it's not just any old bar of soap, this is Liberty of London Soap. In other words, one of the fanciest bars of soaps you can possibly get your hands on. This particular soap is lavender and wild chamomile scented all wrapped up in Hera Liberty print paper. I knew the soap was somewhere in the calendar and I was considering popping it in somebody else's stocking but now that I've smelled it, I've decided to keep it for myself because I rather like washing with bars of soap (I'm old fashioned that way) and I fancy smelling like lavender and chamomile. I can't actually find this soap on the Liberty site but I think it retails for around £5.